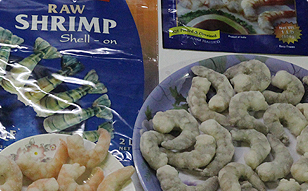 Shrimp is one of the world’s most versatile foodstuffs, not only a protein-rich staple in any balanced diet, but a delicacy found in cuisines ranging from North America, to the Mediterranean, to Asia and the Middle East. As farming technologies and logistics solutions continue to develop, more of the world’s population is beginning to enjoy access to this nutrient-dense crustacean, which has a uniquely low calorie cost, despite being a rich source of anti-oxidants. 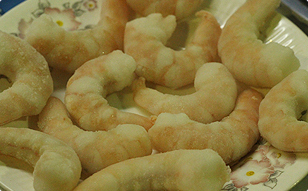 Today, about 55% of global commercial shrimp is farmed; continuing research into sustainable farming practices and responsible aqua-culture techniques will ensure that generations to come will be able to share in the nutritional benefits of shrimp consumption that so many people throughout the world enjoy today. The Waterbase Ltd. maintains Prawn Feed Manufacturing Units (certified ISO 9001:2008) in Ananthavaram, TP Gudur, and Andhra Pradesh, with a capacity of 1,00,000 MT per annum. 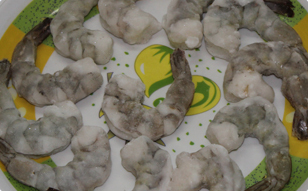 Waterbase is committed to producing nutritionally-balanced and high quality feed for Indian prawn and fish farmers, delivered to their doorstep. The major facilities include state-of-the-art machinery from M/S Idah Machinery (Taiwan), the leading machinery manufacturers & suppliers of Asia.